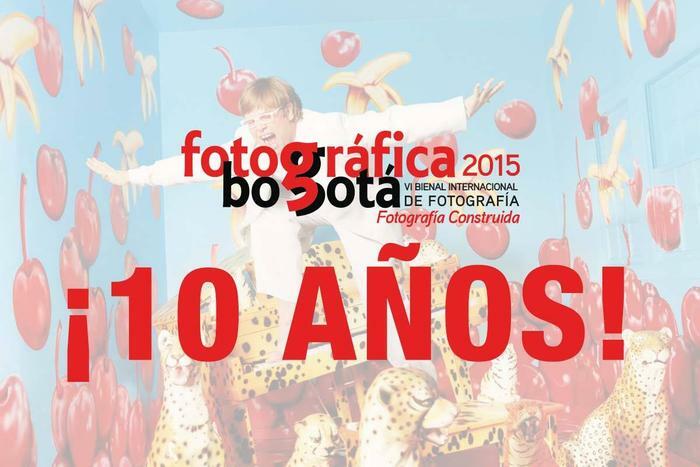 The photograph will flood again the Colombian capital between May 2 and June 15, during the celebration of 10 years of PHOTOGRAPHIC BOGOTA 2015 with the theme "Built Photography". PHOTO has been ranked as the International Photography Biennial most important Latin America in recent years, offering the city and all Colombians privileged to have the presence of prominent theorists of art during the Theoretical Meeting with recognized international and national photographers at major exhibition halls of the capital. PHOTOGRAPHIC BOGOTA, is an International Biennial of Photography started in October 2005 that features exhibits room, street exhibitions, exhibition of documentary masters of international photography, international theoretical conferences, workshops and university film series a made unprecedented in photography in Colombia. Year to year has been including components that are grown Biennale as: Exhibition of Young Photographers, National Call, Workshops Guided and Talks in Schools District and this year we like new constituents Portfolio Review. The Biennial is characterized by inviting major international and national values ​​whose works are presented in museums and Galleries of the city, as well as modules street, bus stops, billboards, etc. The first guest of honor was Brazil in 2005, in 2007 the guest of honor was Spain in 2009 was France, in 2011 Mexico and in 2013, the Nordic Region. The visual and theoretical memories PHOTO BOGOTA They were consigned to the memoir of the Biennale, which contains photographs of each of the authors at the event and the texts of the keynote speakers.